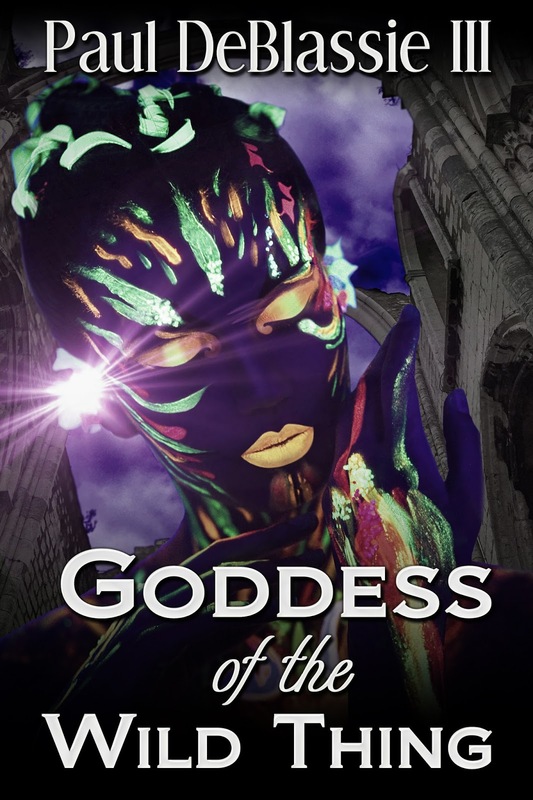 Goddess of the Wild Thing is a dramatic tale of one womanâs spiritual journey where magical happenings, unexpected turns of fate, and unseen forces influence her ability to love and be loved. Eve Sanchez, a middle-aged woman and scholar of esoteric studies, encounters a seductive but frightening man who introduces her to a supernatural world in which the wicked powers of a surrogate motherâs twisted affection threaten love and life. Unending man dramas werenât necessary to life and well-being. She was educated, had plenty of common sense, and was street-smart. Countless members of the male species spoke of her in hushed tones at the cantina, in university hallways, and at social events when friends and colleagues were relaxed and enjoying themselves during the cool, high-desert nights. The thought of hooking up with the most desirable of fantasy felines for the evening rippled through the undercurrent of verbal exchange. She should be able to attract the right kind of man, one who was kind and caring and didnât bring tidal waves of emotional drama. Eve had no time to waste. She needed the counsel of her trusted friend and spiritual guide. This turn of events was unlike any sheâd ever encountered. It was violent and bloody and made her fear for her safety. This new fellow had seemed genuine, courtly, romantic, and hot. He gave off a world-wise and street savvy vibe. There was a gentleness and sensitivity to him, more so than the typical single, middle-aged male on the lookout for female companionship and mind-blowing times. However, sheâd unwittingly found trouble and needed guidance from GraciÃ©la, a seventy-eight-year-old wise woman, crone, and seer into confusing matters of the heart. GraciÃ©la waited for Eve at the Sage Metaphysical Bookstore where she served as resident manager for an absentee owner. Even after an exhausting day of seeing one desperate soul after another, GraciÃ©la agreed that Eveâs situation was critical. Sheâd stay late for a friend and frightened soul. Eve had to park blocks from the store because lately, downtown had become a hub of clubs, theaters, and trendy restaurants appealing to a congestion of new money and hot times. Close-in parking was locked up by happy hour, so blocks away was her only choice. She caught herself looking nervously from side to side and down twilight-shadowed alleyways as she hurried along the cracked sidewalk. She felt safer along these edgy streets with Shirley by her side, a genuine person and mystic cohort. âEve, honey . . .â Shirley paused before going on. Eve knew Shirley hesitated because she was trying to be conciliatoryânot an easy talent for a hard-bitten woman. The pause passed. âOn the other hand, maybe if bad love is what we get, bad love is just what we take. If thereâs something better, Iâm in . . . just saying Iâve never seen it. Till I do, I for one gotta go with what I get.â Her look toughened. âItâs just not come my way, and Iâm not holding a sure-to-turn-me-blue breath.â A tough attitude toward life, love, and men was her stock-in-trade. Eve smiled a bit. She loved her friend and all her rough spots and edges. There were people who were mean but not nasty, malicious, or toxic. Shirley was hardened and mean but only when and if she needed to be. Shirleyâs hair floated a few inches away from her shoulders, static currents conjuring magic. Eveâs peripheral vision caught the streaks of what she imagined as a bonfire during a war dance. Shirley spoke from experience, a woman smitten by man potential going south quicker than a rattler hisses and bites. Eve kept up her pace as she contemplated Shirleyâs words. Settling for less than what she wanted was no good. It left her cold and empty. It was definitely no good. Plus, Shirley didnât know the whole story, only that gloom about the prospect of men and love had descended, and Eve was taking it hard. Mists formed along the edges of the potholed asphalt and cracked sidewalks. They twisted and curled, arising out of a subterranean ether sphere. Usually, they arose during the early morning and hovered inches above the downtown parkâs green expanse, hardly ever at night with its fading daytime desert heat, and hardly ever along the paved spaces. Darkness descended and pressed down like a heavy hand, edgy and ominous. Paul DeBlassie III, Ph.D. is a depth psychologist and award-winning writer living in his native New Mexico. He specializes in treating individuals in emotional and spiritual crisis. His novels, visionary thrillers, delve deep into archetypal realities as they play out dramatically in the lives of everyday people. Memberships include the Authorâs Guild, the Depth Psychology Alliance, the International Association for Relational Psychoanalysis and Psychotherapy, and the International Association for Jungian Studies.